It’s interview time today! 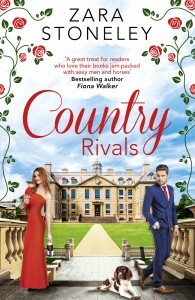 I’m pleased to be welcoming Zara Stoneley back to my site today to chat about her latest novel, Country Rivals.. 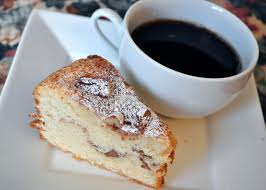 So get that kettle on, make a cuppa, and pull up a chair. 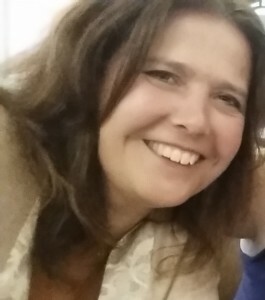 Hi Jenny, thanks for having me! The Tippermere books have been inspired by the fact that I absolutely love Cheshire, the rumours, gossip and scandal, the funny people, the mad animals and the inspiring stories. I think village communities are similar to the writing community – things can be tough at times, some people can be wonderfully supportive and some not so, but at the end of the day the highs far outweigh the lows, and people are there to celebrate the little victories with you. ‘Country Rivals’ is the third book in the series. My editor originally asked me to come up with a ‘Jilly Cooper-ish’ series, as she knew I loved the countryside, and horses and dogs often made an appearance in my books. I like to think the Tippermere books are a slightly more contemporary and ‘lighter’ take, (although I do love Jilly Cooper – and Rupert Campbell-Black made a lasting impression on me!) I never intended to include so many funny incidents, but life round here is like that – people don’t take themselves too seriously, and animals can be relied upon to cause chaos! A lot of my plots are triggered by a ‘what if?’ In this case, the idea for my latest book ‘Country Rivals’ came from an article I read about nearby Peckforton Castle, a guest started a fire and I thought what if this happened to Lottie and threatened the business she’d built at Tipping House? I think that there’s a little bit of somebody I know buried in each of my characters! Maybe it’s a habit they have, the way they gesture, things they say or do, or maybe just something that’s happened to them that sets off my imagination – but I wouldn’t dare model a character on a friend, I might get into trouble! For Country Rivals I had to find out a bit about Polo, a good friend of mine is involved with Cheshire Polo and took me along to a few games – which was great fun. I also talked to some people I know in the film industry. A lot of the details though are based on my own experiences of horses and village life. I don’t really have a strong preference, it comes down to which serves the story best. I do love writing in first person, but sometimes (like with my Tippermere books) the story has to be told from more than one point of view and third person is the natural choice. Just seeing Lottie’s side of the story, and how events affect her, wouldn’t be enough – there are so many other characters with their own personal agendas and reasons for acting the way they do and the reader needs to be able to see the picture from different angles! For a more personal journey, when one character is really key, then I prefer first person as the reader can get much more immersed in the journey. They can appreciate how events personally affect the character, experience their emotions and the highs and lows almost first hand. A mix – I need at least a very vague outline of the whole story, including the start, end and the main conflicts, and then I plot the first quarter of the story in a bit more detail before starting to write. Generally I keep any plan fairly loose, as I think you need to allow the story and characters to develop naturally, but I do need signposts along the way. If I get bogged down, then I go back to the plan and flesh it out in more detail. I admire people who can plan things out in meticulous details with sticky notes and spreadsheets, but I’ve tried and it just isn’t me! I also envy those people who are complete pantsers and can get to the end of 100,000 words with a well-structured and paced book without tearing their hair out along the way! I try and write something every weekday, and sometimes work at weekends depending on what else is going on, and how close my deadline is! I always used to make a coffee and then catch up on emails and social media before starting work on my book, but I recently changed this as it was too easy to spend nearly all morning looking at cute cats on Facebook! I read somewhere that a good idea was to write 250 words on your book before doing anything else (apart from making coffee!) and I’ve found this really works for me. So I do my 250 words, and by then the words and ideas are usually flowing so I keep going until I need a break, and then I catch up on emails. I do try and have a break around lunchtime and either go for a run (I’m new to this idea and at the staggering, breathless stage) or walk, as I’m starting to suffer from spreading bottom as well as sagging middle! Thanks so much for inviting me over today!